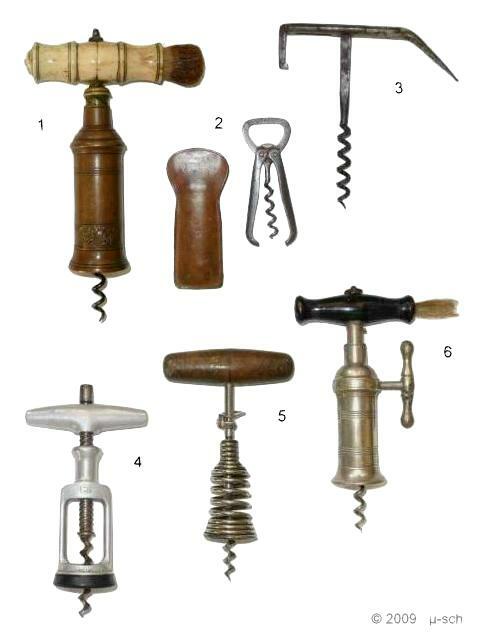 Pocket corkscrew with knife or other tools added to the end of the handles. Corkscrew with a scale which is bent from one piece of steel. Pocket corkscrew with champagne wire cutter. The pillars of the open frame are encircled by springs that extend from the neck ring to the shoulder of the corkscrew. 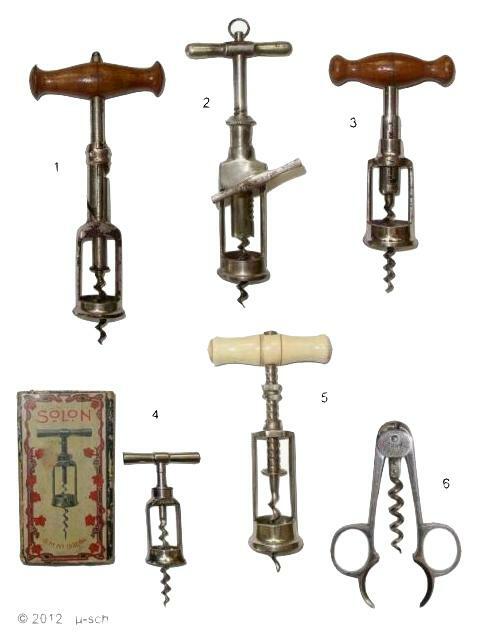 Corkscrew with two lever arm hinges connected to the neck ring. Remark: Later button version without the anti-friction rollers. Corkscrew with split frame and sliding ring to hold the frame together. Remark: Manufactured only for a short period between August 29, 1892 and March 7, 1893 until the patent has been granted. 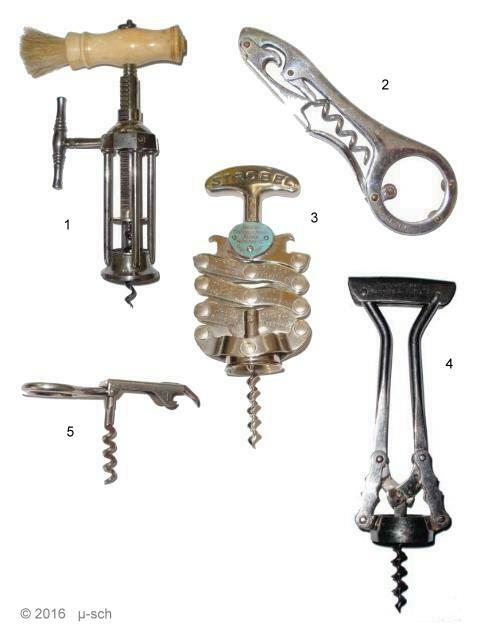 Corkscrew with folding, hollow, hinged arms. 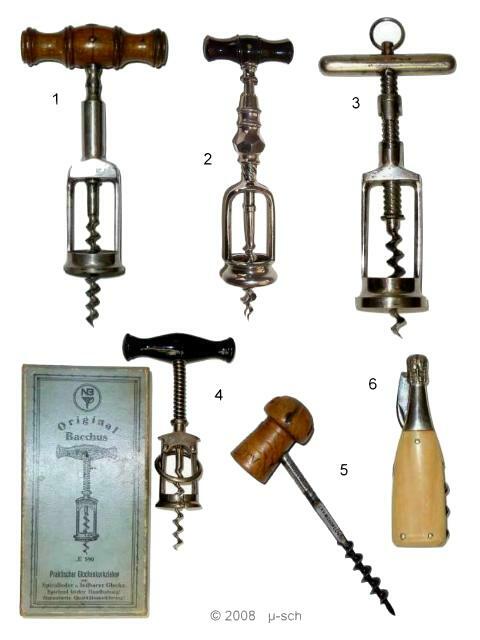 Corkscrew with revolving frame and spring assist. German "King's Screw Type" with side rack and ratchet teeth on the shaft. Nickel plated corkscrew with ivory handle. Champagne nippers with a lead cutter attached to the end of the arms. Corkscrew with an artful design handle, showing a fighting youngling and faun. 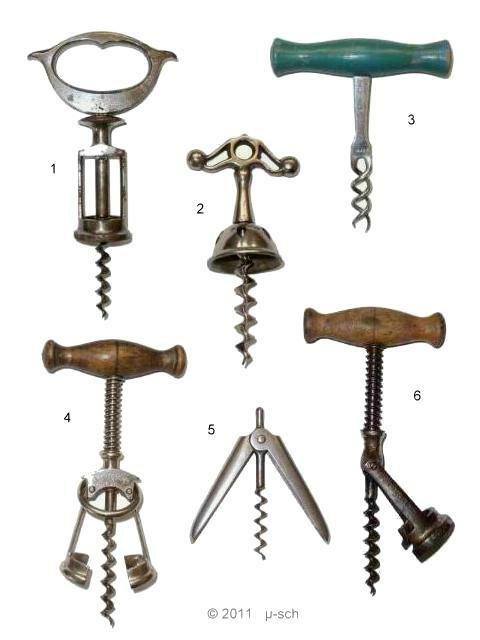 Corkscrew with revolving part which can be turned in or out of the shoulder of the frame. Safety corkscrew with india rubber inside the hollow part of the neck ring. Wiener Werkstätten, an Austrian productions collective of Artists, founded in 1903. 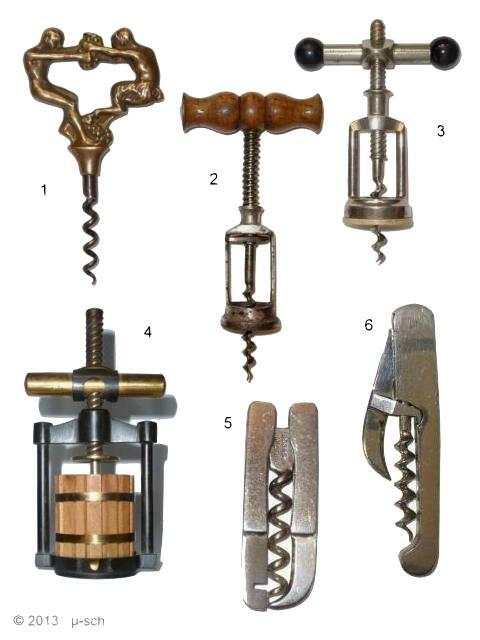 Pocket corkscrew. The two folding arms, forming the handle when folded out, are each provided with a tool. Waiter's friend with a champagne hook attached to the supporting arm. Spring barrel with a device similar to a safety pin to look the barrel to the shank. 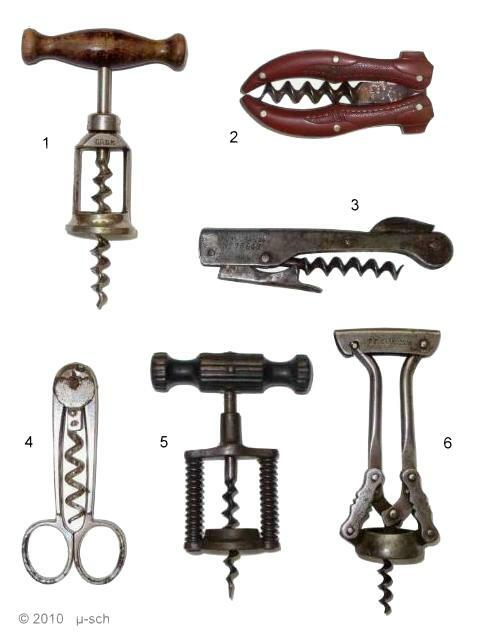 He improved his first corkscrew patent from 1877 by encasing the prongs in a roundlet. 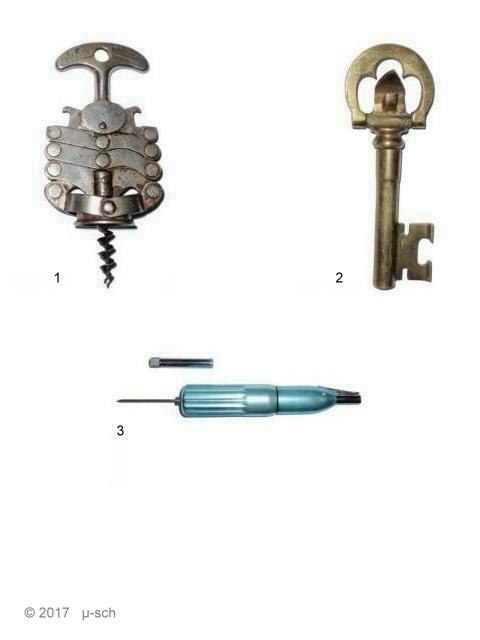 Corkscrew with spring barrel and locking device. 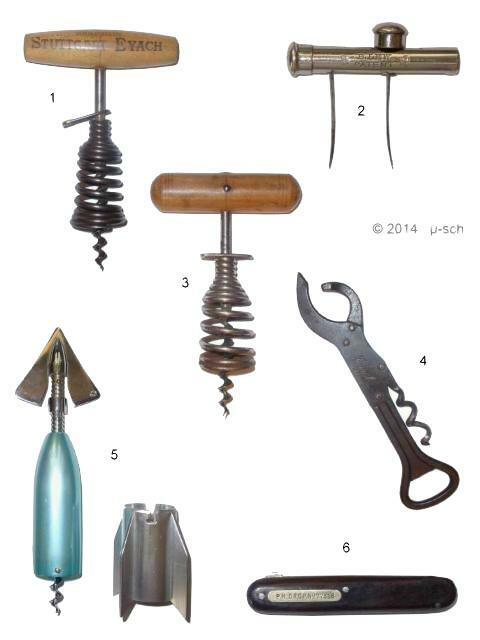 Cap lifter with can opener and corkscrew. 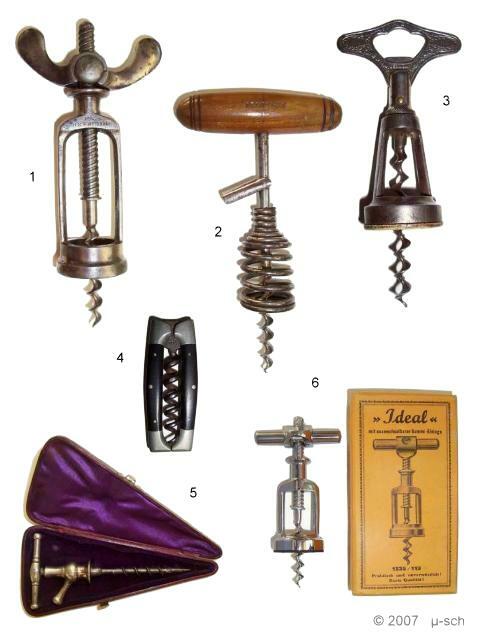 Corkscrew with two pins on the shaft and slots in the sliding frame to lock the frame to the shaft. 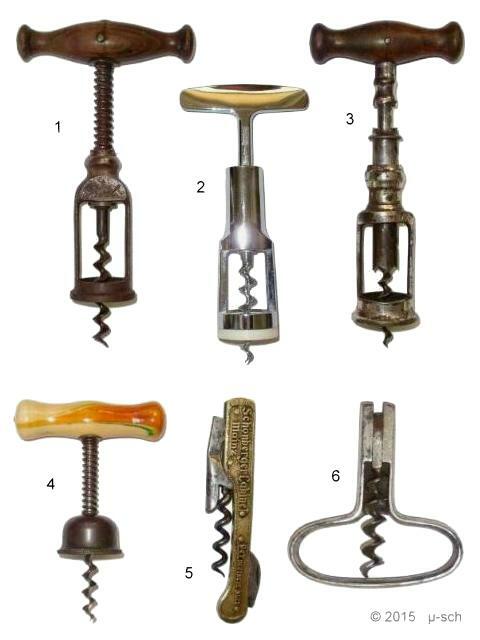 Corkscrew with a raising sleeve that also serves as a cork ejector. German corkscrew with a colorful painted handle and a bell cap. Concertina corkscrew with spring support. for Paul Honigbein, Patent is not known yet.